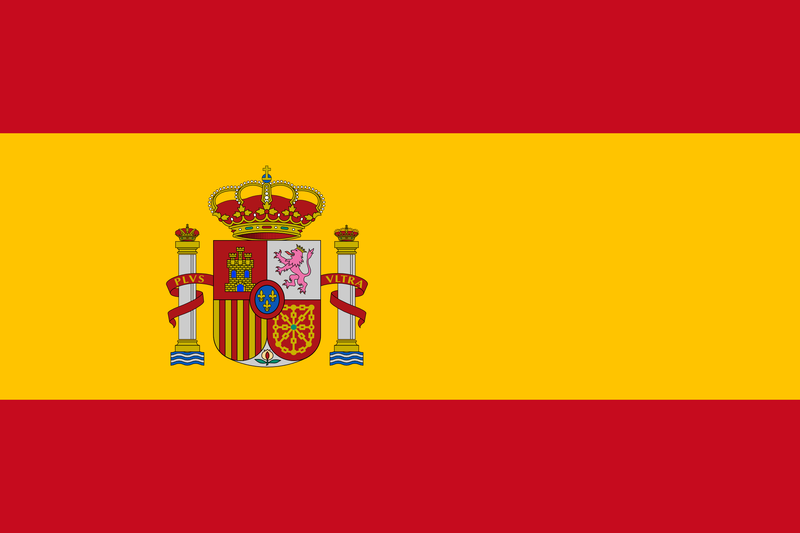 Radicalisation ha become a major concern at both International and European level, and also in Spain. The terrorist attacks perpetrated in the past few years and those committed last days in Manchester and London were committed mostly by European citizens, who were born and grew in EU Member States, and radicalized and attacked fellow citizens. The prevention and fight against radicalization and violent extremism leading to terrorism required a multidisciplinary approach, covering not only investigative measures and criminal proceedings against these types of crime, but also social cultural, ideological, and religious factors accelerating radicalization processes of men and women leading them to travel to conflict areas (Syria, Irak) in order to combat in Daesh or serve its intereses and returning to their countries of origin with an extremist ideology. 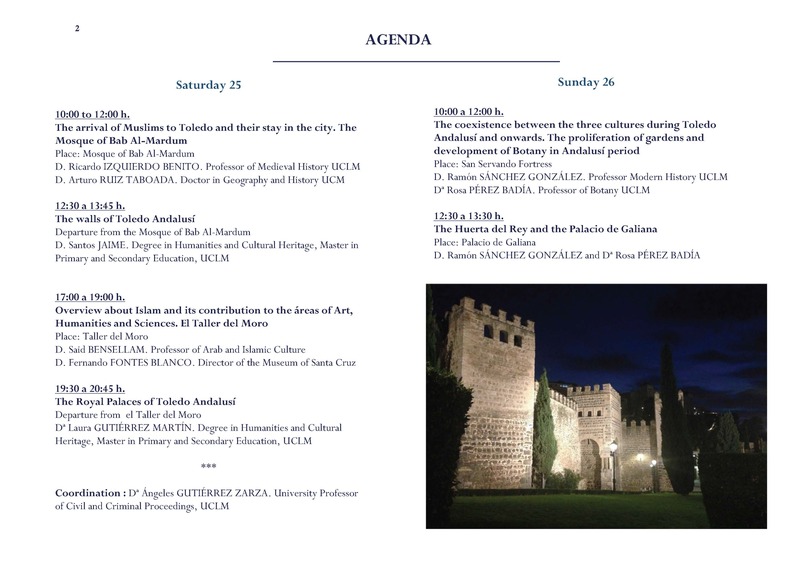 In line with policy measures adopted by International and European institutions, the Summer Course analyses this phenomenon with a multidisciplinary approach: legal, humanist, educative, protective of our cultural heritage, committed with areas and States of conflict. 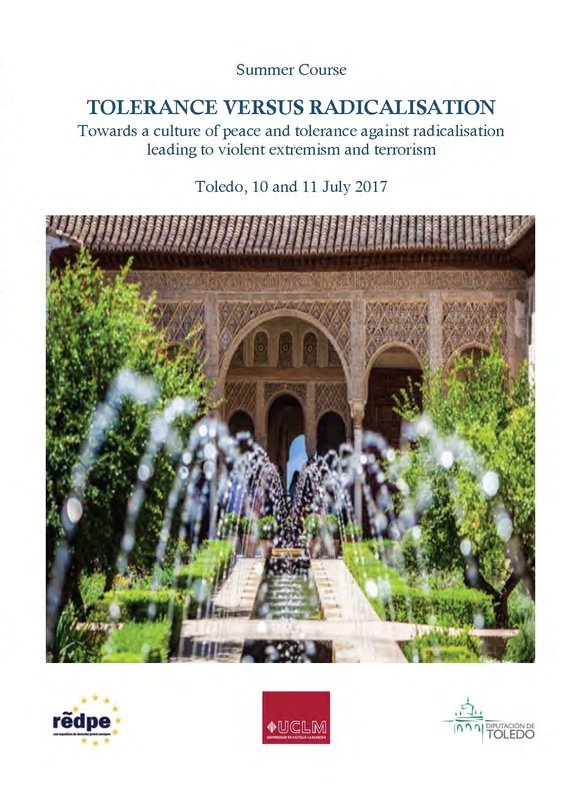 Only this approach makes possible countering terrorist propaganda and hate speech in Internet, as well as combating the return of foreign fighters, among other risks, whilst promoting inclusive societies, educational policies on values and, most important, an attitude of tolerance towards other cultures and religious. Esta entrada fue publicada en Culture around the world el 22 junio, 2017 por ANGELES GUTIERREZ ZARZA. See G7 Taormina Statement on the Fight Against Terrorism and Violent Extremism. Esta entrada fue publicada en Culture around the world el 28 mayo, 2017 por ANGELES GUTIERREZ ZARZA. 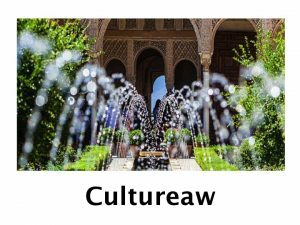 The Council of Europe Convention on Offences relating to Cultural Property has been adopted the 3rd of May 2017. The Treaty will be opened for signature in Nicosia (Cyprus) on 19 May, during the 127th Session of the Council of Europe’s Committee of Ministers, which will bring together the Ministers for Foreign Affairs from the organisation’s 47 Member States. 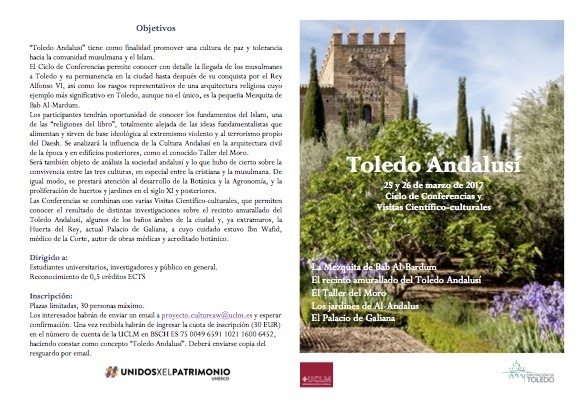 Esta entrada fue publicada en Culture around the world el 6 mayo, 2017 por ANGELES GUTIERREZ ZARZA. 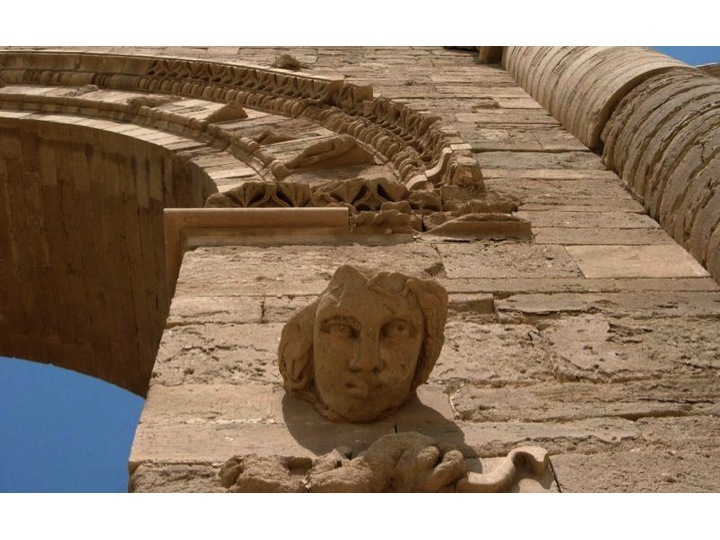 The ancient city of Hatra, at the Departament of Nineveh in Iraq, has been liberated in the past few days from Daesh. 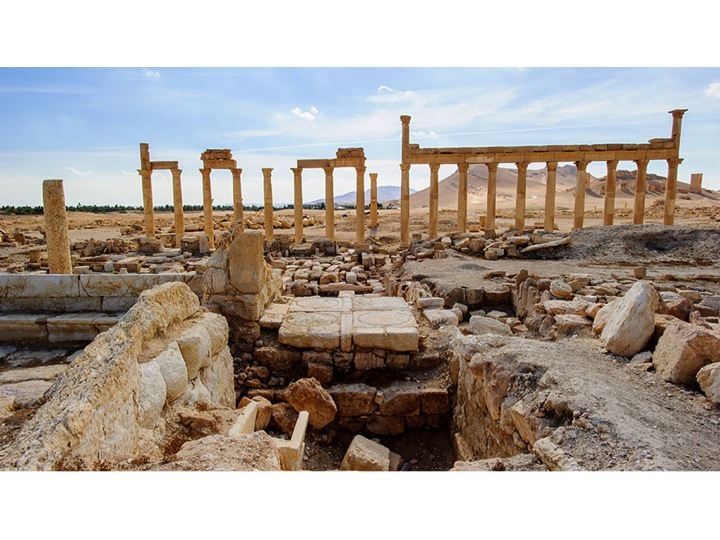 Unesco has confirmed the news and announced the intention to send an archeological mission to the city as soon as the security in the area is ensured. .
“Violent extremists know the power of heritage to unite, to bring people together and provide them with pride, confidence and dignity – this is why they target and destroy heritage. 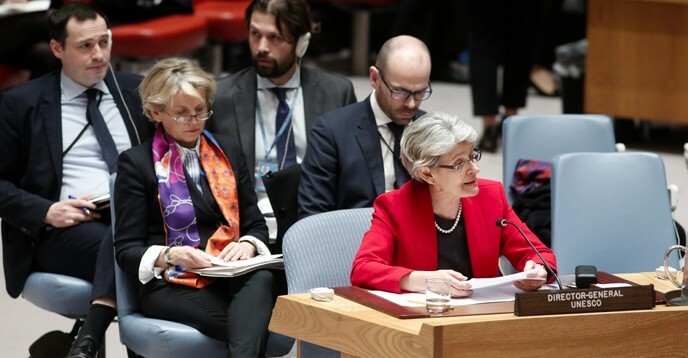 The protection of heritage has become more than a cultural issue – it is also a security issue, and this is the spirit of the recent Resolution 2347 adopted unanimously by the UN Security Council on 24 March, putting culture at the heart of international efforts to build peace (…). The deliberate destruction of heritage is a war crime, and UNESCO will do everything in its power to ensure these crimes do not go unpunished. I call on all parties to preserve this unique heritage as an essential condition for peace and the future of the region”. Esta entrada fue publicada en Culture around the world el 3 mayo, 2017 por ANGELES GUTIERREZ ZARZA. TRANSL. 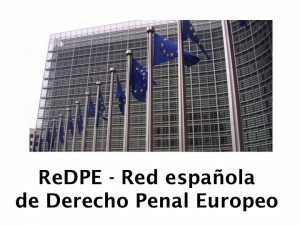 : Law 1/2017 of 18 April on return of cultural objects unlawfully removed from the territory of Spain or other EU Member State, implementing Directive 2014/60/EU, on the European Parliament and the Council of 15 May 2014 (only available in Spanish). Esta entrada fue publicada en Culture around the world el 24 abril, 2017 por ANGELES GUTIERREZ ZARZA. Esta entrada fue publicada en Culture around the world el 18 abril, 2017 por ANGELES GUTIERREZ ZARZA. Esta entrada fue publicada en Culture around the world el 19 marzo, 2017 por ANGELES GUTIERREZ ZARZA. The construction of the Great Mosque of Aleppo started in 715 under the mandate of Umayyad Caliph Al-Walid and was finally concluded in 717 by his brother and successor Umayyad Caliph Suleyman. 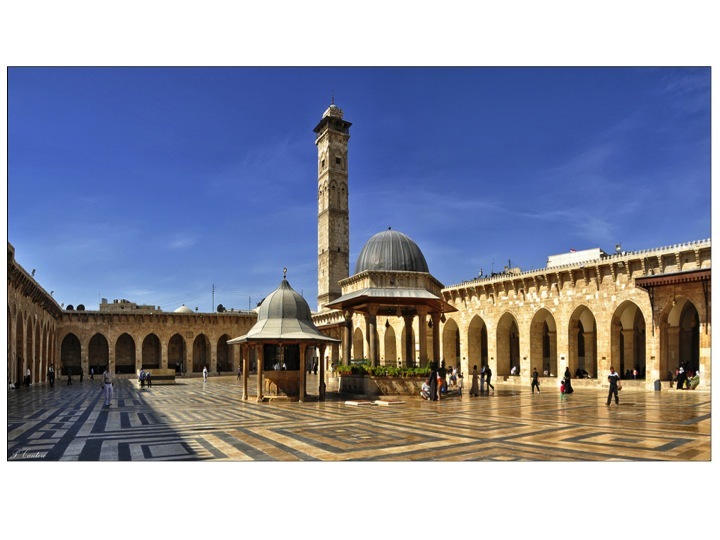 It was clearly inspired by the Umayyad Mosque at Damascus who was built some years beforehand. Both Great Mosques are similar in terms of plans and architectural forms. They were built on the basis of a Roman/Byzantine site, have an hypostyle plan with a large marbled courtyard surrounded by porticoes, and were decorated by similar schemes of mosaics. The remains of the Prophet Zakariyah are in Aleppo’ s Mosque and those of his son Yahiya (John the Baptist) in Damascus. Although it has been altered and renovated in several occasions, the Great Mosque of Aleppo has remained for centuries as one of the architectural masterpieces of the Muslim world. “Located at the crossroads of several trade routes since the 2nd millennium B.C., Aleppo was ruled successively by the Hittites, Assyrians, Akkadians, Greeks, Romans, Umayyads, Ayyubids, Mameluks and Ottomans who left their stamp on the city. The Citadel, the 12th-century Great Mosque and various 16th and 17th-centuries madrasas, residences, khans and public baths, all form part of the city’s cohesive, unique urban fabric. The monumental Citadel of Aleppo, rising above the suqs, mosques and madrasas of the old walled city, is testament to Arab military might from the 12th to the 14th centuries. With evidence of past occupation by civilizations dating back to the 10th century B.C., the citadel contains the remains of mosques, palace and bath buildings. The walled city that grew up around the citadel bears evidence of the early Graeco-Roman street layout and contains remnants of 6th century Christian buildings, medieval walls and gates, mosques and madrasas relating to the Ayyubid and Mameluke development of the city, and later mosques and palaces of the Ottoman period. Outside the walls, the Bab al-Faraj quarter to the North-West, the Jdeide area to the north and other areas to the south and west, contemporary with these periods of occupation of the walled city contain important religious buildings and residences. Fundamental changes to parts of the city took place in the 30 years before inscription, including the destruction of buildings, and the development of tall new buildings and widened roads. Nonetheless the surviving ensemble of major buildings as well as the coherence of the urban character of the suqs and residential streets and lanes all contribute to the Outstanding Universal Value”. The armed conflicts of Siria have caused a tremendous damage to the Ancient City of Aleppo, the Great Mosque included. In 2013 UNESCO inscribed this Ancient City in the List of World Heritage Sites in Danger jointly with the Ancient City of Damascus, the Ancient City of Bosra, the Site of Palmyra, the Crac des Chevaliers and Qal’at Salah El-Din, and the Ancient Villages of Northern Syria. All these places remained in the List when revised in 2014, 2015 and 2016. Further requests the State Party to submit to the World Heritage Centre, by 1 February 2017, updated reports on the state of conservation of the properties and the implementation of the above, for examination by the World Heritage Committee at its 41st session in 2017“. “THREATS: Since the beginning of the crises, the extensive clashes of Aleppo’s ancient city has left part of the old city in ruins and caused massive destruction. A series of explosions strike Aleppo ancient city. The Armed groups have detonated bombs in tunnels under the old city. The Syrian army retaken Aleppo on December, 2016, as the group of armed fighters were evacuated. MEASURES TAKEN: • The National Museum of Aleppo was attacked on July 2016, by a large number of missiles and explosive bombs, fired by armed extremist gangs, which led to a badly damaged in the construction structure of the museum, and it included the partial destruction of the concrete ceiling in different parts of the Museum, a big damages in infrastructure, exterior doors, the offices of employee & Museum curators, and destruction the room of the generators, parts of the Museum outer fence. 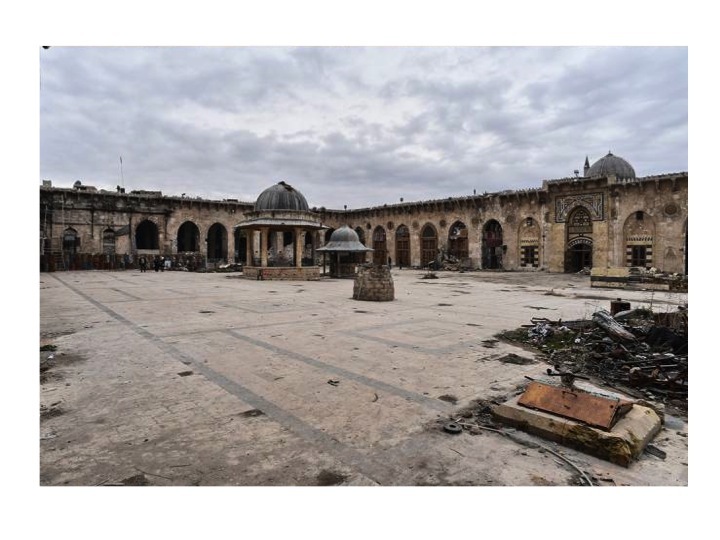 • Before the liberation the DGAM in cooperation with (AL KHANY – Media Agency) and Engineering Office (ICONEM), undertook the works of 3D documentation by using of modern technologies in the Aleppo Citadel, and the team began processing of the data. • The Syrian president formed a committee to undertake the rehabilitation project to the Umayyad Mosque with the member of Director of Aleppo Antiquities. • The Prime Minister hold a meeting on January 4, 2017, he highlighting the need of forming committees and work teams to rehabilitate the old city of Aleppo. • The governor of Aleppo started raising awareness to the local community to preserve the old city and avoid any wrong intervention during the recovery phase. • The city council started immediately (under the supervision of the joint work of the DGAM of Aleppo and the old city team) to clear away some of the debris (which are not archaeological elements), they tried to keep streets open and maintain access to Umayyad Mosque and Aleppo Citadel by pushing rubble to the sides. • Historical buildings were left until they can be assessed as to how they can be reconstructed. Valuable stonework were safeguarded as much as possible for re-use. 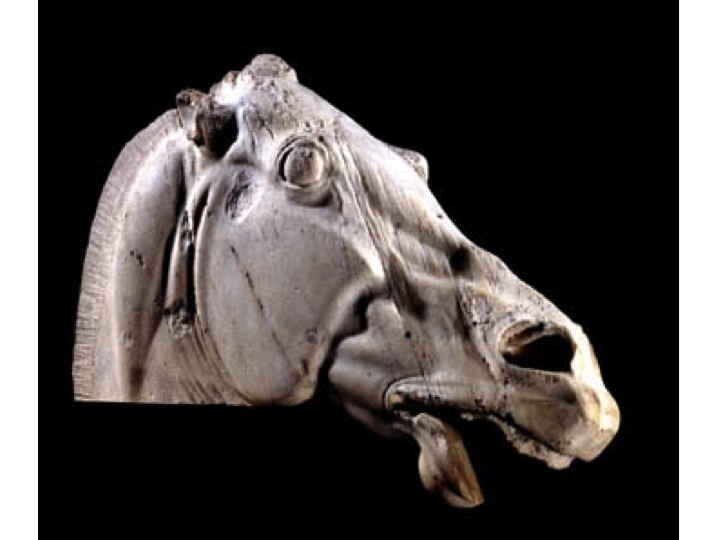 • The Aleppo antiquities was able to control the service urgent works within the old city. • Damage assessments emerged immediately when the Syrian government assumed full control of the city, more than half of Aleppo’s fiercely contested ancient center suffered varying degrees of damage. (A full report will be send soon)”. The Syrian Government has classified the damages caused to the Great Mosque as “moderate”, and certainly that could be the situation compared to other Heritage Sites of this Arab Republic. However, some newspapers are publishing pictures of the Mosque in recent days showing the sad reality of a Sacred Building that looked splendorous for so many centuries. Esta entrada fue publicada en Culture around the world el 24 enero, 2017 por ANGELES GUTIERREZ ZARZA. 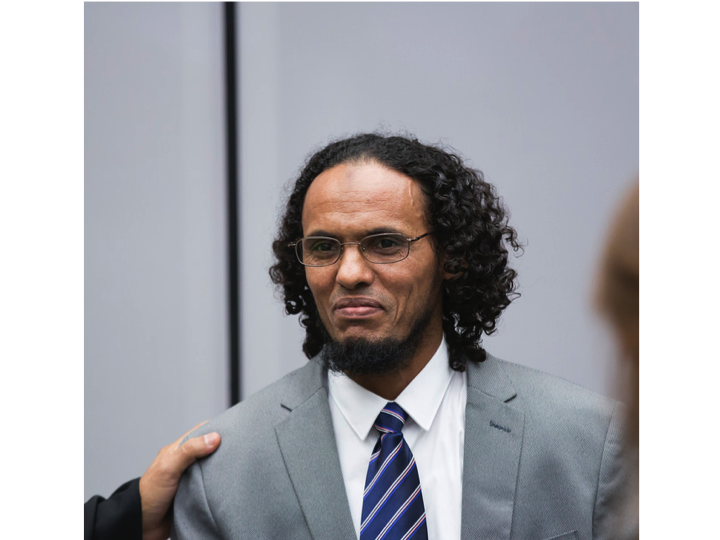 During the confirmation of charges hearing of 1st March 2016, Mr Al Mahdi had expressed his intention to plead guilty of war crimes of attacking historic and religious buildings of Timbuktu. The trial of ICC Case The Prosecutor v. Ahmad Al Faqi Al Mahdi (ICC-01/12-01/15) took place on 22-24 August 2016. As announced, at the opening of this trial Al Mahdi admitted his guilt. Subsequently, the Prosecution presented evidence and called three witnesses. The Legal representative and the Defence presented their remarks before the Trial Chamber on 24 August. The ICC Trial Chamber VIII was composed of Judge Raul Cano Pangalagan as Presiding Judge, Judge Antoine Kesia-Mbe Mindua and Judge Bertram Schmitt. On 27 September 2016, this Trial Chamber unanimously found Mr Al Mahdi guilty beyond reasonable doubt as a co-perpetrator of the war crime consisting of internationally directing attacks against religious and historic buildings of Timbuktu, in Mali, including nine mausoleums and one mosque, in June and July 2012. Mr Al Mahdi was sentenced to nine year´s imprisonment and the time already spent by the suspect in detention will be deducted from the sentence. 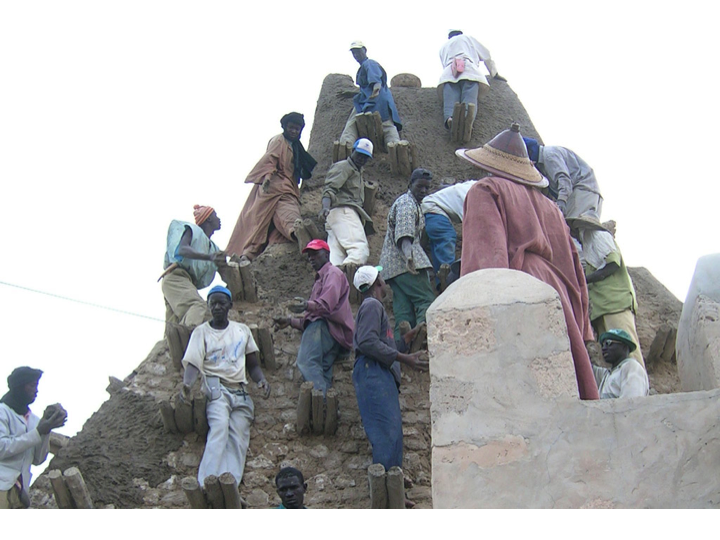 Restoration of mosques and mausoleums under the Unesco Heritage Reconstruction Project supported by EU and other donors. Esta entrada fue publicada en Culture around the world el 12 octubre, 2016 por ANGELES GUTIERREZ ZARZA. On 12 of July 2014, a small group of members of UK Parliament presented the Early Day Motion n. 317. 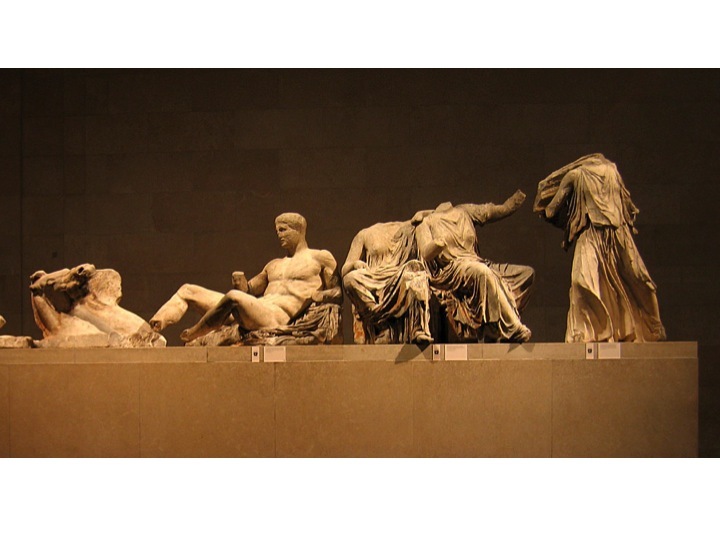 This motion calls on the Government, working with the Trustees of the British Museum, to engage in a gracious act to reunite the Parthenon sculptures exhibited at the British Museum with those located in Athens and with the people of Greece. The motion was presented with the occasion of the 200th anniversary of the purchase of such sculptures from Lord Elgin by the British Museum. Esta entrada fue publicada en Culture around the world el 20 julio, 2016 por ANGELES GUTIERREZ ZARZA.